Why settle for boring walls when you can go for spectacular? 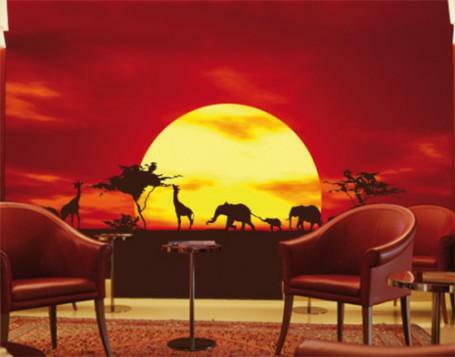 Create the room of your African dreams with this photo-realistic African Caravan wallpaper. Add the quiet and solitude of the savannah to your home. The wallpaper comes in eight pieces with instructions for easy mounting. This wall mural will certainly be the envy of friends and neighbors, and a joy to you for years to come. For more information or to order, click here.